The previously agreed upon level of fluoride was 0.7 to 1.2 milligrams of fluoride per liter of water, the amount of fluoride found in a single use of 95% of the toothpastes available on the market in the United States. Advocates claim that the addition of fluoride to the water supply is the reason for the decline in tooth decay since the 1950s. These same advocates ignore the fact that the same decline in decay rates occurred in all western countries. The majority of European countries that do not use fluoride have seen a 75% reduction in tooth decay over a forty-year period. Where does fluoride come from? Before fluorine gas (the element that fluoride is derived from) was isolated, chemists dealing with it suffered from severe injuries, especially to the soft tissues of the respiratory tract. Manmade fluoride comes from industrial waste, and the FDA hasn't carefully assessed it. Forty percent of 12-15 year olds in America show signs of fluorosis, an overexposure to fluoride that causes white spots on teeth. The deputy surgeon general is citing fluorosis as the main reason for the lowering of the recommended amount of fluoride in drinking water. Unfortunately, that's not the only reason to reduce and eliminate fluoride in our drinking water. Harvard scientists decided that the effect of fluoride on the young brain was a high priority topic of study, as several studies have found children's IQs were reduced by fluoride exposure. It has also been linked to damaged learning and memory centers in the brain. Fluoride is also toxic for bones, as the chronic ingestion of fluoride has been linked to skeletal fluorosis. It's clear that the rate of dental damage from fluoride is on the rise, and it makes sense that the same damage is occurring in the skeletal system. There have also been links between fluoride and damage to the kidneys and thyroid. With the growing tide of research confirming that fluoride is harming the brain and bones as well as the teeth it's purportedly designed to help, 0.7 of fluoride per liter of water as the new standard still seems high considering it's merely the low end of the previous recommendation. The fact that it has taken more than 50 years for the Public Health Service to lower the levels of fluoride in our water in the face of damning evidence shows how unwilling our government is to consider current research. While the lowering of the recommended amount of fluoride is a step in the right direction, it is not enough. There are things that you can do to take care of and protect yourself even further. 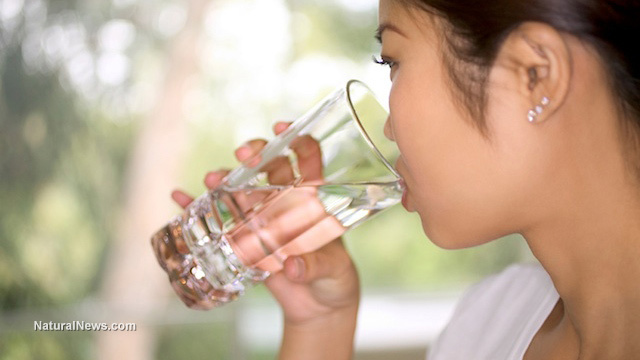 Learn about the best water to drink for health, http://www.olmag.co/best-water, and learn how to make your own fluoride free homemade oral care recipes http://www.olmag.co/oral-care.